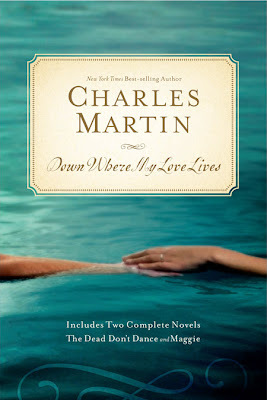 As I have said before, one of my favorite authors that I have discovered in the past year and a half is Charles Martin. The first of his books that I read was Chasing Fireflies, and after I finished it, I tried to go back and read all of his other books that were released prior to that. Well, back around Christmas, I bought the hardcover version of Down Where My Loves Lives at a really good price on Amazon. It was just released and is actually two books in one, so it made more sense than buying two paperback editions. Delivered in early January, I just now got around to reading it. All you blog review people are shaking your heads at me, and I know it. I've had books I needed to read, books from work, books I received for blog tours that I committed to reading in a certain time, books I bought, books I got with a Christmas gift card, and books I had been given. While I really wanted to read this one, it just kept getting pushed down the list. So combined, 621 pages in an eight-day-leave-me-alone-I-want-to-read-marathon. Because once I got started, I didn't want to stop. That's why I really had to take a nap this afternoon - up too late Friday and Saturday night making my way through the end of the book. That's also why I didn't get a lot done yesterday. As usual, I'll start out with the book descriptions (someone went through a lot of trouble to write it well on the back of the book and/or publisher website) and then add my thoughts. A sleepy rural town in South Carolina. The end of summer and a baby about to be born. But in the midst of hope and celebration comes unexpected tragedy, and Dylan Styles must come to terms with how much he's lost. Will the music of his heart be stilled forever--or will he choose to dance with life once more, in spite of sorrow and heartbreak? 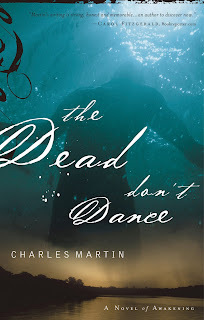 The Dead Don't Dance is a bittersweet yet triumphant love story--a tale of one man's spiritual journey through the darkness of despair and into the light of hope. And so the story begins for Dylan and Maggie Styles, a young couple in love, who wait expectantly for the birth of their first son. But events take a tragic turn in the delivery room, and their child is delivered stillborn. When Maggie hemorrhages and slips into a coma, Dylan too slips into what can only be described as a walking coma, holding vigil at Maggie’s bedside. Usually tough and self-reliant, an outdoorsman and a farmer, Dylan finds that everything he has known and relied upon, even his deepest sense of who he is as a person, is suddenly thrown into doubt. In a desolate place, naked and alone, he asks “Why live?” and hopes someone is listening who has the answer. Through friends and grace-filled moments of insight, the defenses around Dylan slowly break away, but it will take a second tragedy-and an anxious period of wrestling with God-to truly awaken him from his stupor and open him up to a new life. There is no doubt that the author has a way of really connecting you with his characters. From Dylan to Maggie to Amos to even Blue the dog. Yes, the dog has actual personality. Dylan certainly has an emotional journey while Maggie is in a coma, but I don't think it was as bleak as the description above explains it. Dylan does come to the realization that in addition to focusing all of his attention and Maggie's bedside that he does indeed have to go on living his life - somehow. Poor Dylan has a really tough time, but he handles things remarkably well considering. You can't help but cheer Dylan along until Maggie wakes up. "When Maggie opened her eyes that New Year's Day some seventeen months ago, I felt like I could see again. The fog lifted off my soul, and for the first time since our son had died and she had gone to sleep--some four months, sixteen days, eighteen hours, and nineteen minutes earlier--I took a breath deep enough to fill both my lungs." Life began again for Dylan Styles when his beloved wife Maggie awoke from a coma. A coma brought upon by the intense two-day labor that resulted in heartbreaking loss. In this poignant love story that is redolent with Southern atmosphere, Dylan and Maggie must come to terms with their past before they can embrace their future. 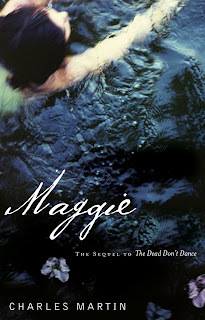 I struggled a little bit with Maggie, but couldn't wait to get to the end because you knew SOMETHING had to be resolved at the end. In the beginning of the book, there are some flashbacks. But it's between the present and eighteen months ago, right after Maggie woke up. It was hard for me to tell where I was reading along the timeline of their life. I struggled with trying to keep it straight, but thankfully, that ended pretty quickly. As if the death of a baby and a four month coma weren't enough for the Styles family, their struggles are multiplied. It was actually painful at times to read what all they went through. A sign of good writing, obviously, if you feel that bad for the characters. I wanted Dylan to not give Maggie her space and get her some help. Her emotional roller coaster was out of control, and he should have made her get some counseling early on. While there was resolution at the end of the book, it wasn't a big fat happy ending. Not that I would have wanted everything to end perfectly, because life isn't like that. I recommend Down Where My Love Lives or the books individually, but don't read them if you are in a down mood because they certainly are not a pick me up. Well, I take that back somewhat - they will definitely make you thankful your life doesn't have all the heartache that Dylan and Maggie's do.